Intel’s Roger Chandler, VP of Core and Visual Computing Group, has reiterated Intel’s interest in real-time ray tracing – the ‘holy grail’ of graphics technology. 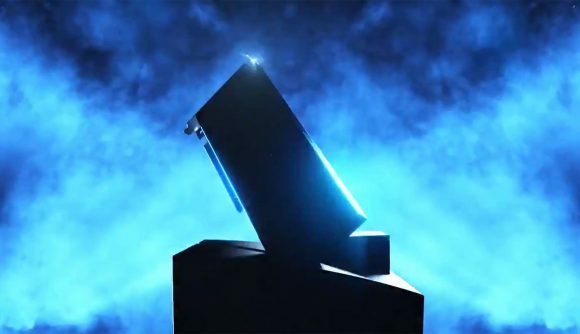 While Nvidia staves off RTX nonbelievers, Intel’s Chandler, in a GDC partner interview with the Game Developers Conference, reiterated his belief that we will “eventually” see this graphics tech hit the mainstream. “Eventually we’ll see tech like real-time ray tracing (which Intel has been working on for many years) finally hit the mainstream,” Chandler says. Intel’s work in the field does indeed go back a long way. Over a decade ago at the Intel Developer Forum, Intel demonstrated real-time ray tracing using a version of Quake Wars. The company also demonstrated ray tracing with an Intel Xeon Nehalem EX chip not long after. But without dedicated graphics, Intel has been lacking the pure compute power to compete with the likes of Nvidia and AMD in this field. Nvidia has already launched graphics cards intended to drive ray tracing to the fore in the RTX 20-series, but even AMD has expressed interest in ray tracing as of late despite the immediate lack of dedicated hardware. But that might all change soon enough. Intel has been hiring some of the best most prolific engineers around to work on its upcoming discrete graphics product. From what we know so far, this GPU will be built from the building blocks provided by integrated Gen11 graphics. Intel hopes to level up its Game Dev Program. “As Intel rapidly evolves CPU, GPU, and platform technologies, devs will find it easier to unleash all of that compute power,” Chandler explains in the GDC Q&A. And all that compute power can be brought to bear on games in different ways. That accelerated client side AI sounds like just the job for Intel’s discrete GPU. AMD also recently hinted its GPUs have the ability to utilise brute compute power, along with Microsoft’s DirectML, to implement Nvidia RTX-like features. With AMD also encroaching on the green team’s territory, will that mean Intel starts fighting on Nvidia’s ray traced turf right off the bat? We can’t say for sure, but Intel has a habit of facing its graphics products towards the compute side of things, and that could play right into Microsoft DXR support come 2020.